I do not play video games often. When I do, it is often a sporting game such as NBA 2K or Madden NFL with a couple of buddies after a late night. 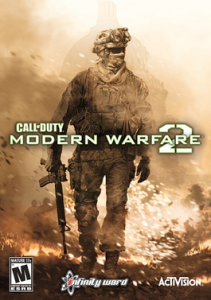 However, back in my adolescent years I would spend my days and nights playing Call of Duty: Modern Warfare 2 with my fellow immature youngsters. For those who are not familiar with Call of Duty, it is a video game where you are equipped with a gun in a war simulation and try to shoot as many people as possible. While this video game is rated M for mature, many teenagers, and even children around the age of nine, get their hands on a copy of this game through Amazon or simply by asking their parents to buy it for them. 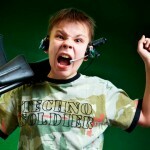 There seems to be a rising consensus that video games such as Call of Duty enhance violence in teenagers. As somebody who used to play these types of games religiously, I am confused by this hypothesis. I didn’t have any urge for violence after playing Call of Duty, nor do I now. So am I an outlier or do violent video games simply do nothing? Luckily the internet is available to research these things, and this article from The Telegraph seems to give an answer to this question. Research from Canada’s Brock University tried to answer this question by conducting a study with 1,492 kids in their pre-teen years (Telegraph 2012). These kids were picked from eight different schools (Telegraph 2012). These children (aged 14 to 15) were then asked survey questions every year for four years in an observational study and their answers were then calculated into what could be called an aggressive level (Telegraph 2012). The questions asked by the researchers included the number of times they pushed or shoved another student or whether they punched or kicked another student due to a feeling of anger (Telegraph 2012). 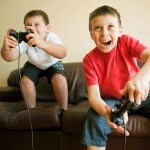 They found that the students’s aggressive scores rose over the years as they played violent video games. But what about confounding variables from this experiments? Well they took this into account. Gender, divorcing of parents, and use of marijuana were all taken into account in this study yet the results remained the same (Telegraph 2012). However, a conflicting study revealed a different result. 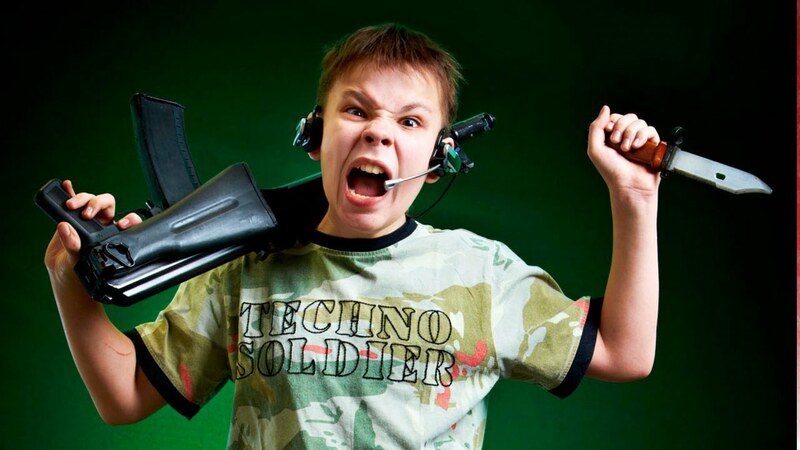 This study was conducted by Oxford University and found that kids do not get more violent by playing video games. 200 children aged 10-11 were asked about how often they played video game (Bingham 2015). 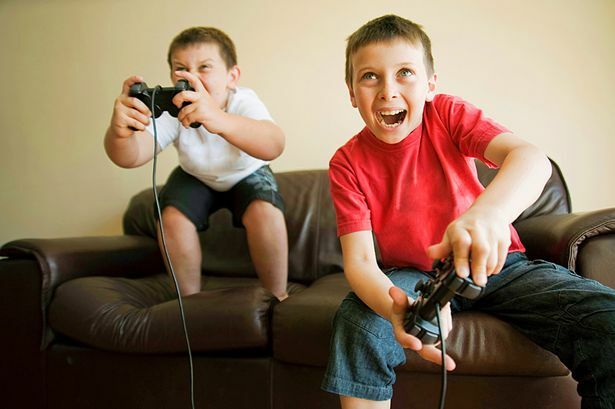 While this study did find kids who played video games were more aggressive, they found that it was due to number of hours played and not the amount of violence in the game (Bingham 2015). The leader of this study said previous studies did not compare violent video games with games that involve the same feeling of competition you find in other games (Bingham 2015). So could this be a case of the Texas Sharpshooter problem? Could the wrong similarities have been stressed while ignoring key pieces of data? It is quite possible. But maybe this study by Oxford was a false negative. We will have to wait and see as more studies on this topic are conducted. A meta-analysis must be done! If there were many, many more studies done on this topic and the studies were complied, it will be a much stronger evidence than a single study or two. For example, in the “does prayer help cure patients” research we learned about a while ago in class, while one well conducted study was done and found prayer did help, it was disproven because the meta-analysis was so convincing. When more and more studies were done, the study that said praying does help was revealed to be a case of chance. Once there are many studies to base a conclusion on, chance starts to decrease as you get the same result by repeating or compiling different studies with the same objective. If a meta-analysis is done for this video-game conundrum, we will surely get a definitive answer on whether video games truly do cause violence. This entry was posted in Uncategorized on October 31, 2016 by Charles Hart. This was an extremely well written, organized blog post with a ton of great connections to in-class discussion. As a girl that has never played video games, I do not have any personal experience with this topic. Although, after reading your article I began to consider the confounding variables you presented, such as divorce. As divorce rates in the United States have risen to about 50%, and continue to rise, almost half of kids’ parents these days are not together. In a study that was published in 2002, (http://www.children-and-divorce.com/effects-of-divorce-on-children.html), it says that kid’s that have been affected by a divorce are more likely to live a struggle-filled life. This confounding variable could explain why the aggression in children seems to be on the rise, as you stated in your blog post. I agree though, that there need to be a lot more studies done on your topic to rule out any other possible causes. Very good article Charles! You used great studies, good examples from class, etc. As someone who plays video games often (well, as often as I can in college), I don’t see the associaton with video games and more agressive behavior. I even started playing games like halo or call of duty when I was around 12 years old. Now, I also was able to release my agression due to sports, so maybe that outweighed the increase of violent tendencies from video games. My question for you is, don’t you think that the increase of agressive responses in the first study could be due to the children going through adolescence? As we all know, adolescence is a rough time, and many boys will become more aggressive for a while with the increase in testosterone. That is where I think the correlation lies, but it is not caused by video games. Charles very interesting choice due to the relevancy in our society. Violence an video games have been an occurring theme since I was very young, But I think this study really capped my beliefs. There is not a correlation between the two, it is the person that is in control of their lives. The games are for entertainment. Charles- I found your blog post to be very interesting. This topic is a huge topic in society right now due to the unfortunate amount of mass shooting we have seen in recent years. I have often heard this theory stating that violent videogames can make people more violent. However, I’m not so sure that it is true. Much like you, this theory confuses me. You have some great confounding variables listed and you did some good research, however I felt as though your source from the Telegraph was not terribly credible. I felt as though the confounding variables it took into consideration were a bit weak. I think it would be very eye opening to look into the effects of things such as history of anger issues, type of childhood, and level of violent videogames these children were playing. I feel as though this would give a better look into the true effect of videogames on children’s actions. other than that, I thought your article was great. This article looks at both sides of the videogame argument and I think you would really like reading it-http://videogames.procon.org/. Enjoy! Heres an article on psychology today explaining it in more detail. This is an interesting topic. My younger brother plays games like Call of Duty and GTA and honestly it worries me. He has been doing so since he was pretty young like 11 I’d say and I used to tell my mom to have him get off of it. He has anxiety and I feel like him playing these games could make it worse. This Psychology Today> article talks about how (obviously) all kids that play violent video games won’t become “mass murderers” but, in fact it could teach kids to work together with one another. Is this a good thing though? By teaching kids to work together to virtually kill people? Maybe not. But perhaps I shouldn’t worry so much about my brother.